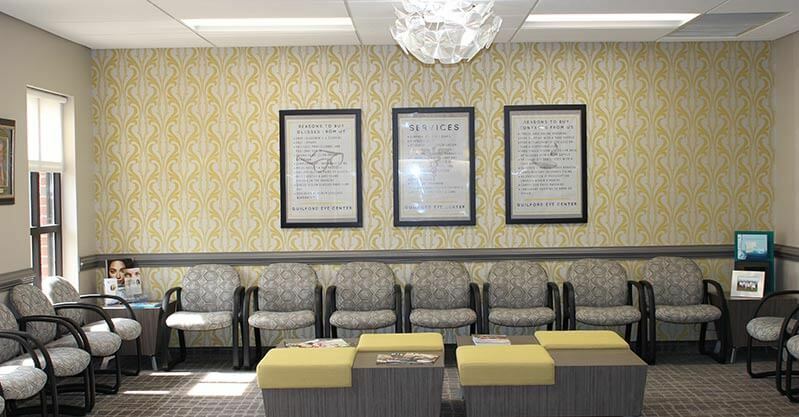 Guilford Eye Center has been in business since 2011, serving as a local eye care center for patients from Jamestown NC and the surrounding communities in Guilford County. We have years of expertise to draw on in addressing whatever eye care needs you might have. There are many optometry practices in Guilford County but none can care for your eye health like Guilford Eye Center. Aside from simply being in business for many years, we are able to address eye care needs exactly because we harness what technological advancements have to offer, taking advantage of digital imaging to provide specialized and personalized care. When you travel from Jamestown NC to get an eye exam in Greensboro, you will undergo digital retinal photography so we can get a snapshot of your eyes. Changes in the retina occur subtly so having an image we can go back to will allow us to monitor your eye health precisely, detecting changes that may arise. Digital retinal photography can also help shed light on the presence of systemic diseases as hypertension, diabetes, kidney problems and the like can be identified through the eyes. Guilford Eye Center also relies on corneal topography for those wearing contact lenses and ocular coherence tomography for our glaucoma patients. The more we know about your eyes, the more we can come up with the right eye care solutions for you. Give us a call today at (336) 387-6777 to schedule an eye exam! Got an urgent eye care need? Guilford Eye Center also offers emergency eye care services.